A growth in construction of local amenities and facilities can benefit towns and cities in several ways, from an increase in revenue to providing more jobs for local people. 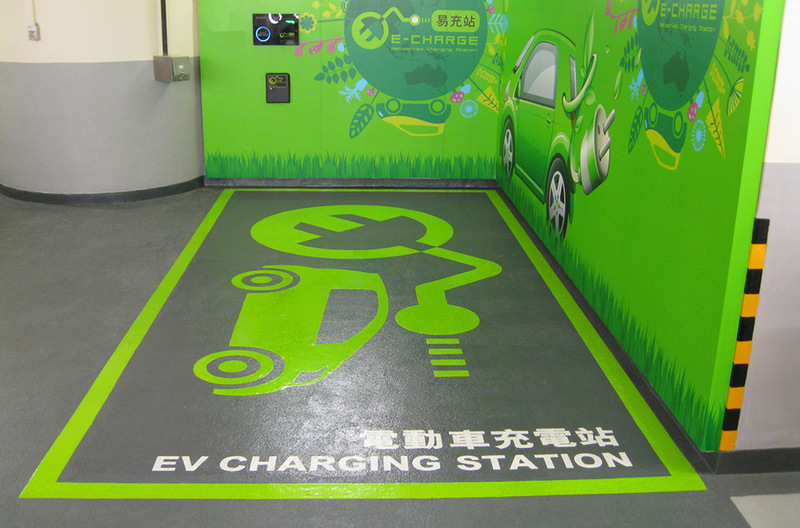 Among all of these positive outputs, we often hear of a particular pitfall – the lack of parking! What use is a brand new facility if locals and visitors cannot travel and park there? Tseung Kwan O (TKO), situated in Hong Kong’s New Territories, has grown from less than 10,000 residents in 1982 to over 400,000 today. To meet the demands of its constantly increasing population and growing tourism trade, multi-storey car parks were in high demand! 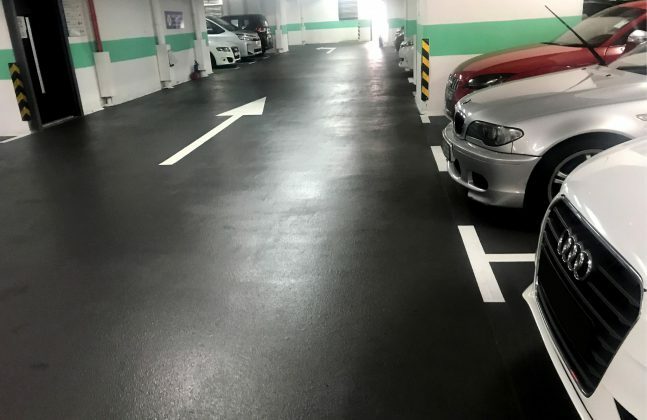 Luckily, local car park deck coating suppliers were able to meet this demand and provide safe and attractive flooring systems for the car parks of all the new offices, attractions, residential complexes and community facilities. 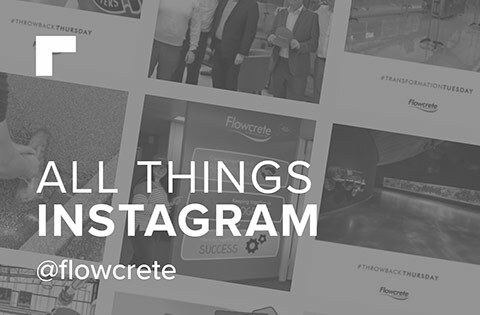 In fact, between 2012 and 2018, just the one resin flooring manufacturer delivered deck coating solutions to twelve different commercial and residential projects across TKO Areas 65-68. 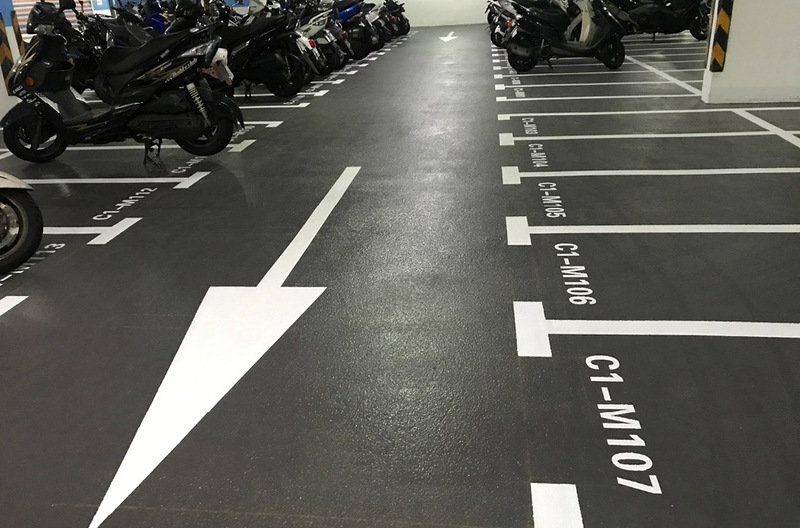 After the initial applications, the same deck coating range (Deckshield) was increasingly chosen for more and more car parks, with nine specifying the same deck coating products in just three years. This included a variety of developments in different sizes, including huge facilities such as Monterey’s 20,000 m2 car park and The Papillions 18,000 m2 car park, both of which were completed in 2018. 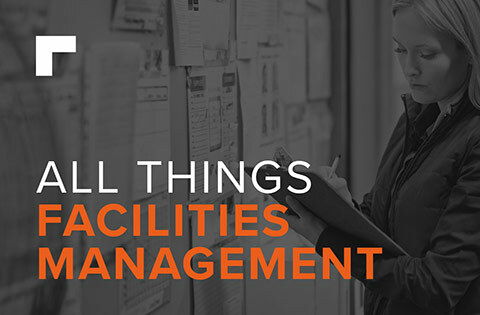 The scale of these sites meant that the flooring solution chosen had to consistently perform to a high standard, despite the vast quantities of material required and the inherent complexities of large car parks. 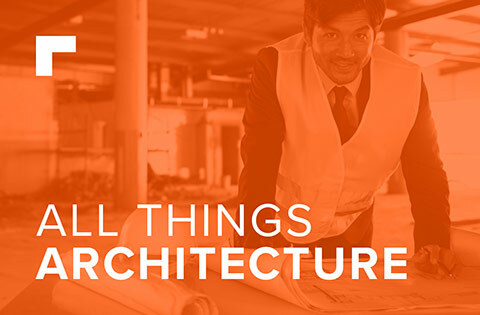 Which Coating Systems were Chosen? 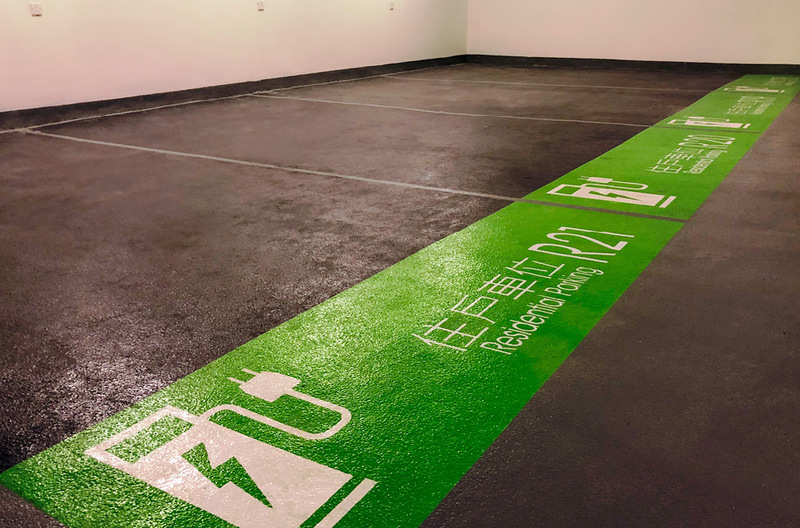 The Deckshield range from Flowcrete Asia was utilised throughout TKO thanks to its versatility, meaning that it could overcome every flooring challenge, regardless of the project size or specific demands. For example, the Green Label certified, low VOC flexible polyurethane system Deckshield ID was able to provide intermediate decks with colourful and durables surfaces, Deckshield LBD was ideal for basement levels with rising moisture issues thanks to its incorporated dissipating moisture barrier and Deckshield UV protected top decks from suffering due to exposure to sunlight thanks to its in-built UV resistance. 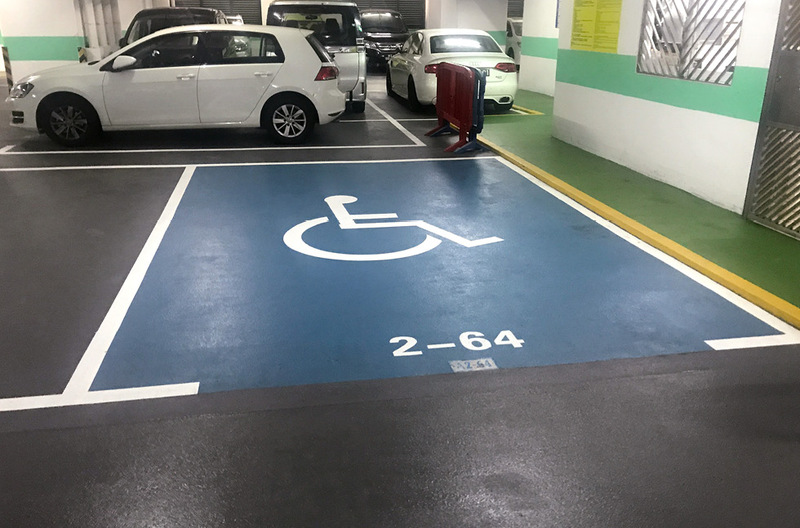 There was a lot of competition for this work, and it was Deckshield’s strong reputation and the fact that Flowcrete Asia could point to multiple successful project references that meant it was consistently chosen for TKO’s new parking facilities. Aesthetics can often be a low priority for some car parks, however when it comes to high-end environments creating an air of luxury can become much more important. This was true of the TKO car parks, as many venues in the area had an upmarket image to maintain. This was well illustrated at the up-scale shopping mall PopCorn, where the architects chose to use 15,000 m2 of Deckshield ID. 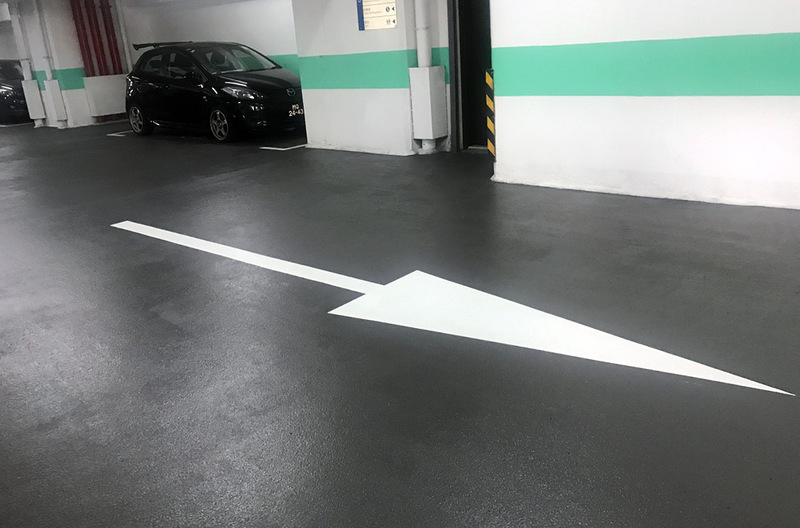 This system was ideal for ensuring a colourful and attractive finish that would maintain its aesthetics despite traffic, automotive chemicals, wear, use and impacts that car park flooring inevitably faces. 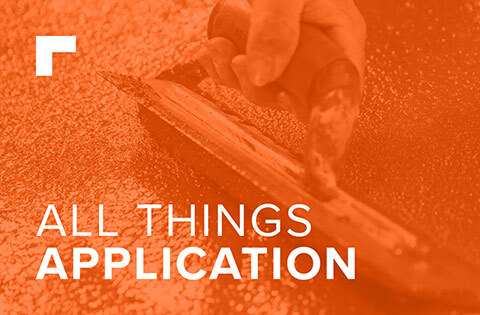 If you would like more information on car park deck coating systems, please leave a comment below and our flooring specialists will get back in touch.